Large volumes of water are produced (PW) during oil and gas production from the various oil fields of Upper Assam Basin, India. PW is a very complex mixture and contains different toxic compounds that adversely affect the surrounding environment, the reservoir environment and also the economics of oil and gas production. PW separated from oil and gas is either injected into the reservoir for pressure maintenance or discharged to the environment. Therefore evaluation of PW and its characterization is very important and essential for environment and reservoir management. 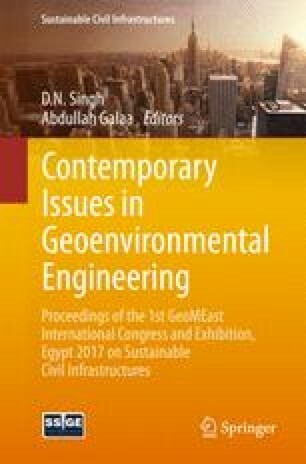 This study deals with the complete evaluation and characterization of PW generated from different depths and horizons of oil reservoirs. The evaluation included the analysis of pH, specific gravity, salinity, total dissolved solids (TDS), cations, anions, organics and minerals. The values of specific gravity, salinity, TDS, and some ions such as sodium and chloride of oilfield PW were increased with increasing the reservoir depths. Useful relationships were observed between salinity, TDS, cations, anions, organics and minerals. These results can be used in the design, operation, and optimization of wastewater treatment systems of petroleum industries for future studies. The authors are also greatly indebted to the anonymous reviewers whose comments will significantly improve this manuscript. This work was funded by the Department of Biotechnology, Government of India in the form of Joint R&D activities under the twinning programme for scientists working in Dibrugarh University in the form of a Twinning project no. DBT-ENV/2013/222 (Twin 2013).